Access to this part of the site is limited to paid members. Members may sign up for access by clicking on "Register for a User Account," below. See Membership for more information. If you descend from Samuel and Sarah (Howland) Dawes, please see this note. 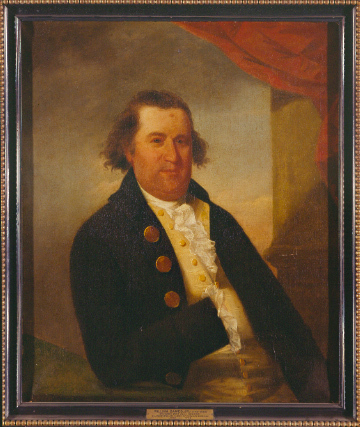 Our thanks go to the Evanston History Center for providing us with this image of the portrait of William Dawes. This site powered by The Next Generation of Genealogy Sitebuilding©, written by Darrin Lythgoe 2001-2016.